BenQ today announced its product lineup for InfoComm 2013. With an award-winning family of projectors, monitors, and flat-panel displays, BenQ will demonstrate the industry’s new standard for brightness, image quality, and energy savings within the business, education, and digital signage spaces. The interactive IL Series features up to six-point multitouch displays — the highest number of touch points in the industry as well as ambient light sensors for energy efficiency and LAN Control for remote management and maintenance. The ultra-slim P Series, featuring a super-narrow bezel design of only 5.6 mm between two adjacent screens and up to 10×10 display capability, delivers more seamless video walls within large signage environments. 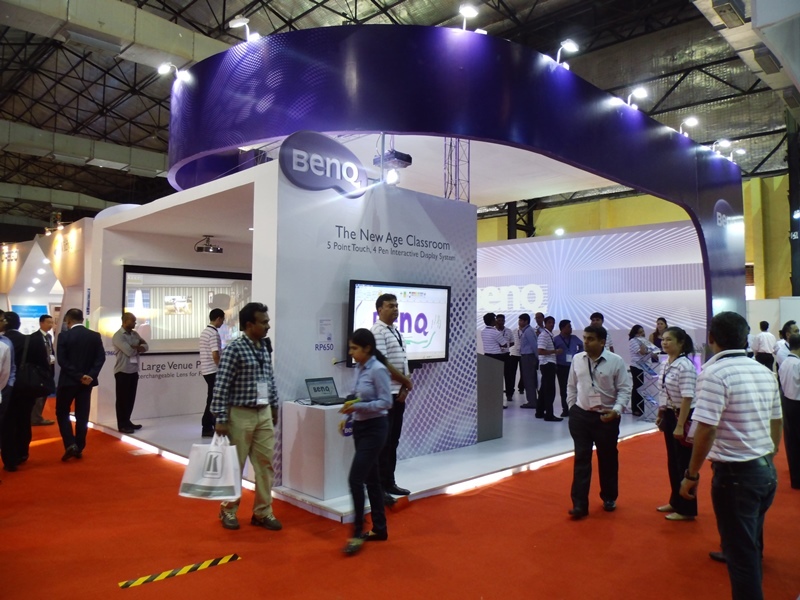 Mumbai, INDIA, September 16th 2013, BenQ, an internationally renowned provider of digital lifestyle innovations and No. 1 player in the Indian projector segment with a market share of 20% (FutureSource Consulting and PMA report for projector business Q2, 2013), today announced its product lineup for InfoComm 2013. With an award-winning family of projectors, monitors, and flat-panel displays, BenQ will demonstrate the industry’s new standard for brightness, image quality, and energy savings within the business, education, and digital signage spaces. With three new flat-panel display lines designed for around-the-clock-operation, BenQ is bringing big changes to digital signage for retail, corporate, education, hospitality, and public spaces. Made for today’s high-traffic retail and restaurant settings, the durable mainstream SL Series provides a dust-proof design, daisy chain capabilities, and delivery of dynamic content to different locations. The interactive IL Series features up to six-point multitouch displays — the highest number of touch points in the industry as well as ambient light sensors for energy efficiency and LAN Control for remote management and maintenance. The ultra-slim P Series, featuring a super-narrow bezel design of only 5.6 mm between two adjacent screens and up to 10×10 display capability, delivers more seamless video walls within large signage environments. To bring the full A/V experience to big spaces at a lower total cost of ownership (TCO), BenQ has introduced three new additions to its high-brightness projector lineup. BenQ’s PW9600 & PX9500 with interchangeable lens and 6,000 lumens are the latest introduction professional projector range. SH963 and SX914 projectors shine at an astounding 6,000 lumens of dual-lamp power with extra-sharp XGA resolution (SX914). The full HD 1080p models feature high contrast ratios of 50,000:1, detail-enhancing HQV processors, big zoom capabilities, horizontal/vertical lens shifting, 2D keystone correction, and throw ratios of up to 2.43 to decrease setup time and enable more efficient presentations. With a number of connectivity options including dual HDMI®, these projectors deliver amazing picture quality to any of today’s conference room or lecture hall environments. BenQ is unveiling its powerful 3D solutions with the world’s first built-in 5GHz wireless full HD 1080p projector. Designed mainly for home theater settings, the new W1500 projects uncompressed full HD images from sources such as Blu-ray and DVD players, AV-R players, set-top boxes, and gaming consoles without the need for HDMI cables. The unit also enables mobile device integration for easy wireless connectivity with an Apple® TV or iPad®.